As a member of Holland’s founding family, Christine Van Raalte Gilmore was automatically deemed a prominent member of the community. Her passion for supporting women in Christian education and mission work, as well as increasing opportunities available to women, secured her reputation as role model for women in her community. As a widow, she explored her interests and seized chances to lead in unique ways. On March 31, 1846, Christine Van Raalte Gilmore was born in Arnhem, the Netherlands to Reverend Albertus C. and Christina J. De Moen Van Raalte. Six months after Christine Van Raalte’s birth, the Van Raalte couple moved their family, consisting of themselves and five children, to the United States to found the town of Holland, Michigan. Albertus Van Raalte gained influence and prestige as he established the township of Holland. Serving as both organizational leader to the Dutch settlers and as pastor to the First Reformed Church of Holland, Albertus Van Raalte worked to embed Christian principles and traditions in the community from its beginning. Christina Van Raalte ran the family home and set an example as an influential wife and mother in the community. Christine Van Raalte also learned from the emphasis her parents placed on Christian schooling. Once the colony was settled, Albertus Van Raalte focused his efforts on starting Christian schools for higher education. These schools, Hope College and Western Theological Seminary, became centers of intellectual opportunity for Dutch settlers throughout the Midwest. While Christine Van Raalte did not receive a degree herself, her parents’ passion for education influenced her choice to later serve as Hope College’s first Dean of Women Students and lead educational efforts for women in particular. Her parents’ pioneering spirit and their appreciation for education paved the way for Christine Van Raalte’s later positions in leadership in the Holland community. In April 1869, the Van Raalte family began their next colonization effort in Amelia, Virginia; Christine Van Raalte went with them. Christina Van Raalte’s poor health forced her parents to leave Amelia after four months. Christine Van Raalte remained in Amelia. Her status had changed on July 14, 1869, when she married William Brokaw Gilmore at the Amelia Court House. He was a member of the first graduating class of Hope College. Christine Gilmore’s marriage shifted the leadership of life from her parents to her husband, and her decision to stay in Amelia after her parents’ returned to Holland marked her first major separation from her family. Married life proved difficult for the Gilmores. William Gilmore worked for three years as a teacher in Amelia while also serving as pastor of the local Dutch Reformed Church; he did so with the blessing of Albertus Van Raalte. In that time, Christine Gilmore bore two sons, Albertus Christian in 1870 and William Jr. in 1871. When William Gilmore Jr. died in the summer of 1872, the Gilmore family moved back to Holland, where William Gilmore worked as a teacher at Hope College for one year. While the exact motivations for their return to Holland remain unclear, the failure of their colonization attempt and the death of their son may have encouraged the Gilmores to leave Amelia. In subsequent years, the Gilmore family moved to Illinois. They also endured the deaths of two more children and William Gilmore took pastoral positions at three Reformed Dutch Churches. 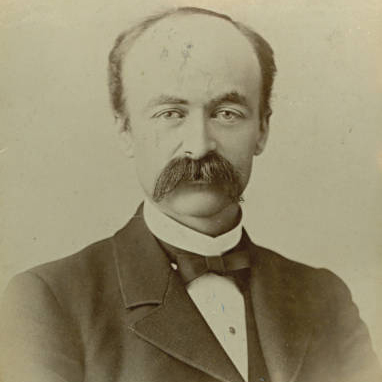 On April 24, 1884, William Gilmore died unexpectedly. At forty years of age, Christine Gilmore (now referred to as Gilmore) returned to Holland as a widow with her sole surviving son, Albertus Christian Gilmore. While serving as Dean, Gilmore opened her home to students and made every effort to care for them. 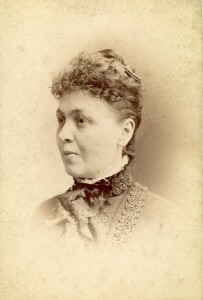 Her mentorship of students and strong Christian character gave her the means of exerting a positive “influence over the character of the women students of Hope.” Gilmore remained Dean until 1910, and although she acknowledged the role her parents played in founding Hope College and in her life, she still made a reputation for herself as a competent principal and role model for women. In her resignation letter to the college, she shared her deep respect for the institution and for the legacy that her parents left. In addition to her job as Dean of Women at Hope College, Gilmore worked for and with women in Holland, Michigan, especially in a leadership capacity with respect to missionary work. In 1887, she became vice president for the Western Board of Domestic Missions, focusing her efforts on women’s missionary societies. Later, because of her work, she became honorary vice president of the Women’s Board of Domestic Missions for the Reformed Church of America (RCA) denomination. In 1898, Gilmore became president of the Women’s Missionary Union. She held this post until 1921. In 1919, after she resigned from Hope, Gilmore founded The Federation of Women’s Societies for the Churches of Holland. This organization sought to unite women from the numerous churches in Holland and raise money for foreign missions. Gilmore served as president for this organization until 1929. During her presidency, the Federation funded the construction of a home for lepers in Portuguese East Africa in 1924. This home, the C.V.R. Gilmore Home for Lepers, was named after her. Gilmore’s work and leadership in these organizations strengthened her status a prominent figure in the greater Holland community. Gilmore lived at a pivotal time for women in the U.S. and in the Christian Church. At the turn of the twentieth century, women in the United States were denied suffrage, but they began to insist on having a public voice and influence, contesting their supposed “proper place in the eternal order.” Women banded together to form their own clubs and societies for education, entertainment, and fundraising. Many of these societies devoted their time and money to supporting Christian missionaries abroad. In 1883, the New York Times reported hundreds of thousands of dollars raised by women in one society for missionary efforts. The question of women’s involvement in missions became a prominent one. Women had formed their own missionary societies to send single women abroad as missionaries; this was an option male ministers deemed acceptable only as a secondary option to marriage. Most denominations preferred that missionary wives remain within the proper sphere. As occupants of “separate spheres,” women operated under their husbands’ initiative and took care of the home while men provided for the household and engaged in public life. In turn, male church leaders were slow to surrender authority on mission work abroad, work that would not have qualified as part of women’s sphere. Gilmore’s charge of women’s missionary societies, then, was unusual in light of the conservative argument to keep women in the home and under male headship. Gilmore returned to Holland, Michigan at the perfect time to experience these social changes. Widowhood offered Gilmore opportunity in public work that her marriage did not allow in Protestant-dominated West Michigan. With only one child she had more freedom to pursue interests outside the home. The city of Holland also helped advance her in leadership. Its small size and the Van Raalte heritage gave Gilmore credibility and greater influence in her work. Without these factors in place, Gilmore’s work and name might not have gained the power it did. On April 12, 1933, Gilmore died, but her legacy endured. Gilmore Hall, a dormitory for women at Hope College, was named after her, and the C.V.R. Gilmore Home for Lepers continued to serve patients in Africa after she died. After her death, Wynand Wichers, a professor at Hope College, listed Gilmore’s three connections to Hope: her father’s founding of the school, her husband’s membership of the first graduating class, and her own role as Dean of Women. In the end, Gilmore became a powerful name remembered for its influence on behalf of women in education and mission work. Brewster, William T. “College Education of Women.” New York Times (1857-1922). September 5, 1908. Bruins, Elton J., Karen G. Schakel, Sara Frederickson Simmons, and Marie N. Zingle. Albertus and Christina: The Van Raalte Family, Home and Roots. Grand Rapids: William B. Eerdmans Publishing Company, 2004. H88-0060, Gilmore, Christine Van Raalte (1846-1933), Joint Archives of Holland, Hope College, Holland, MI. “In Memory of Mrs. Christine Van Raalte Gilmore, Daughter of Holland’s Pioneer Founder.” The Leader, Vol. 26 no. 29, April 19, 1933. Jacobson, Jeanne M., Elton J. Bruins, and Larry J. Wagenaar. Albertus C. Van Raalte: Dutch Leader and American Patriot. Holland: Hope College, 1996. “Our Lady Principal.” The Anchor, January 1901. Seat, Karen K. “Providence Has Freed Our Hands”: Women’s Missions and the American Encounter with Japan.” Syracuse: Syracuse University Press, 2008. “The Early Holland Academy and Pioneer School.” www.migenweb.net. Accessed March 2, 2015. “Women Aiding Missionary Work.” New York Times (1857-1922). October 12, 1883.